Evony created a whole new sub-genre in the world of real time strategy games. A Civ clone by design, most of the sims games on Facebook have followed that same route by creating worlds where players build medieval towns that they rule. Players must advise the people in their towns in the building of buildings, help them learn technologies and build armies. Despite the fact that many of these games all have very similar game-play, each has features that make them unique and worthwhile. Sims games have been around for over 20 years and are still going strong so it is no surprise that online versions have taken off. A quintessential fantasy role-playing game, Facebook application numbers show that it is one of the most overlooked and perhaps underrated examples of the sims genre. As of the writing of this article, there are only 55,897 active monthly users. Of course, complaints about this IGG offering highlight frequent and copious server errors and fixes. Another reason why first-time players occasionally also become one-hit wonders rests in the overwhelming interface. 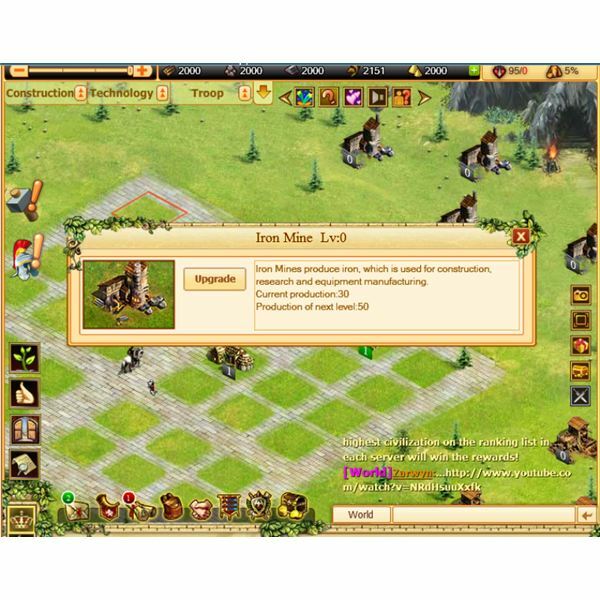 Unlike other browser-based MMORTS, Lords Online features two views. The main view encompasses the town and surrounding lands used to gather resources. The second view shows the world map. By IGG’s own admission, game-play is most enjoyable for the player who cut his teeth on Advanced Dungeons and Dragons. The alliance system plugs players into the community while the time and effort it takes to cultivate a hero is typical of a standard Japanese simulation game. This game is not fast-paced by any stretch of the imagination, but the meticulous player appreciates the built-in downtime for acute decision-making tasks. Can 1,452,115 monthly users be incorrect? 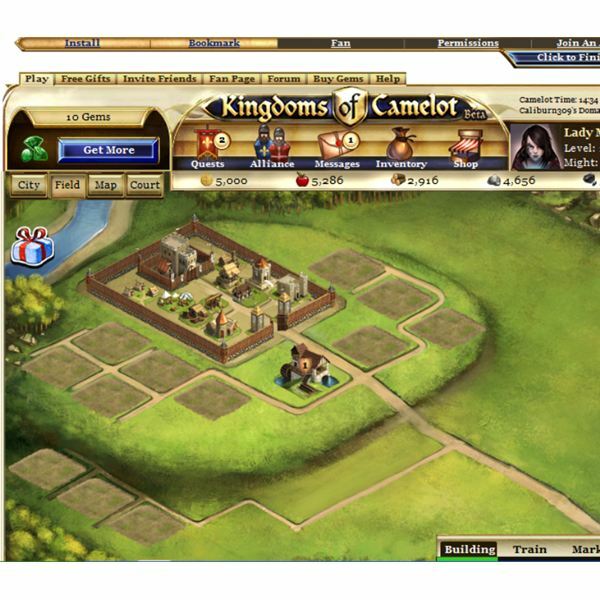 Like Lords Online, Kingdoms of Camelot has been going through its growing pains. 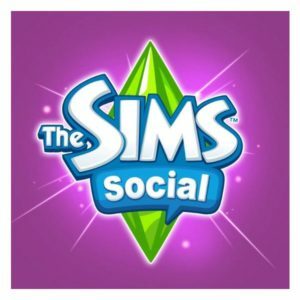 Like almost every sims game on Facebook, it is still in Beta but presents as one of the most complete of the bunch. The game's entire building process is fun. To build more than one city, players need to solicit friends to sign up for the game as well. For each friend that accepts the invitation, the player gets the ability to build an extra kingdom. Players also have to build armies to defend their kingdoms and to attack other kingdoms. Keeping things fresh are frequent new upgrades. Even if the player has only managed to gain a rudimentary understanding of D&D warfare, alliance setups and troop training, she is not out of her element. Best of all, the depictions of nubile females with certain portions of their anatomy barely restrained are — thankfully — omitted. Some 78,163 online gamers and a 3.6 out of 5-star rating placed this game at odds with seasoned and new players. 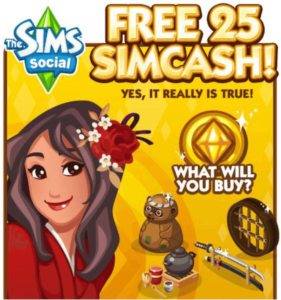 Even so, it was one of the newest games to hit the Facebook sims scene. Game-play was simple, which explains by this offering had taken the genre by storm. Creator Playdom has a small catalogue of games including “City of Wonder" and “Mobsters." Even so, the game was too similar to Lords Online to be viable on Facebook. The gaming mavens at Inside Social Games also attribute Verdonia’s demise to the fact that it was simply too niche for the majority of social Facebook gamers. The learning curve was time-consuming and the gamer who appreciated the clear-cut growth and development games that other platforms provide was soon woefully lost within the variables of the game’s options. Wagging tongues also pointed out that Verdonia and Evony were too close for comfort, which might have played a role in the former’s demise. It takes a certain kind of player to take on social sims. Ideally, this player will appreciate the blank slate that begins the process while at the same time working on a game strategy from the onset. The ‘click, buy and delete’ mode of play — so common with highly popular Facebook games, such as Farmville and Farm Town — does not work in this genre. In fact, failure to map out a strategy and foster alliances early on can wreak havoc with the overall enjoyment of the game. This unforgiving nature makes the genre difficult to establish. Add to this the cumbersome nature of explaining D&D stratagems to an unschooled player, and there is little doubt that the games, which have managed to carve out their Facebook niches — Lords Online and Kingdoms of Camelot — will most likely make it difficult for newer games to become established.